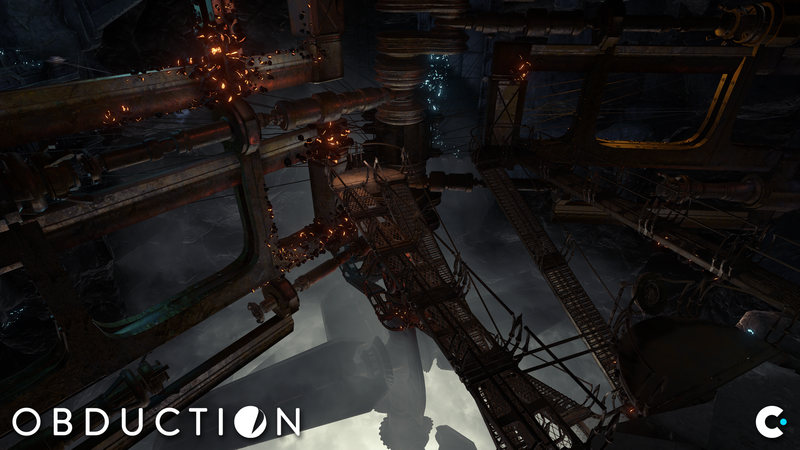 In which we spend two hours with Obduction and come away impressed. This story’s been a long time coming. 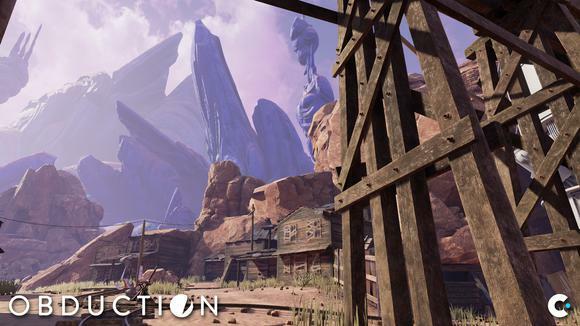 By now you’ve hopefully heard Cyan’s spiritual successor to Myst, its new game Obduction, has been delayed into 2016. If you hadn’t heard, well, now you have. Head over here for the details. That’s the boring stuff, though. That’s the business side of this whole thing, and frankly it’s something Miller hinted at as early as last year, when I went to Spokane and he said the game was much bigger than Cyan anticipated. And I doubt it’s surprising to anyone who’s backed a Kickstarter game. 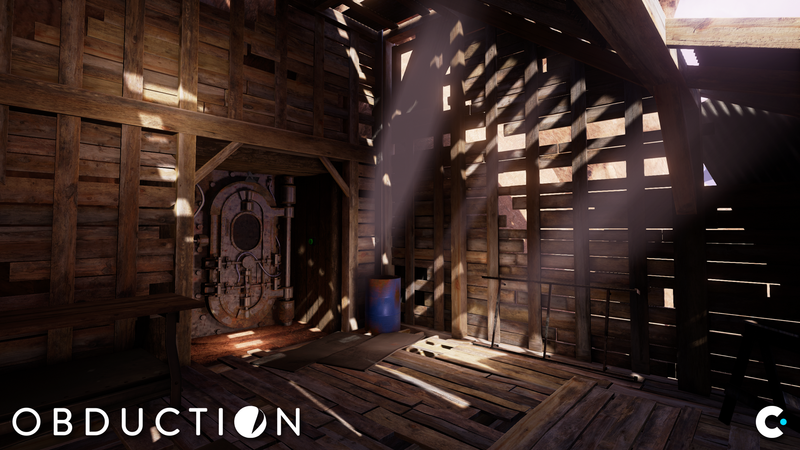 The real news is I’ve played Obduction—two hours of Obduction. After PAX this year, I retraced my route from 2014 and once again ended up in Mead, WA, at the house that Riven built. I walked in and was led to a laptop, on which was that day’s build of the game. Whatever was done on September 1, that’s what I played. A quick side note before we get going: The Obduction build on September 1 was “playable,” meaning the game could be completed start to finish. All puzzles were in the game. However, it still wasn’t playable in the way you’d want, as a few art assets were missing and puzzles were still being refined. I also had a few complaints about the controls at the time—I’ve been spoiled by Frictional’s first-person adventures (SOMA), so Cyan’s current realMyst-esque scheme feels dated to me. Any of this might have changed, as Cyan wanted me to wait until the delay news was out of the way before publishing this hands-on. Obviously a bit of time has passed. Miller told me this morning that nothing I saw has changed though—they haven't rescoped the bits I played, so this is all still pertinent information. Most important: Practically none of the story/world-building—a.k.a. Cyan’s strength—had made it in yet. That means no journals. Very little set-dressing. The build was basically the scaffolding of the game, the bare minimum required for me to flow puzzle-to-puzzle. It’s an impressive scaffolding though. Obduction's changed quite a bit since last I saw it. Last year Miller and Co. walked me through the first two worlds, Hunrath and Mofang, in their very early stages. At best, you’d see a vaguely house-shaped group of unshaded polygons. At worst, you’d see a section where the word “House” was scribbled on the ground as a placeholder. And the terrain was just big cubes—grey for rock, orange for sand. It was enough to give me a sense of the world and a sense of the scale Cyan was going for, but little else. I had to infer the rest through Miller’s descriptions and what little I could glean of the art style from concept art and the closer-to-done intro area. Those days are for the most part gone. Hunrath still had a few areas of untextured orange and purple boxes, but the majority of the world looked like...well, a world. And it’s mesmerizing. Hunrath is a mining town—the remnants of a mining town, all whitewashed houses and rusted-out railroad tracks tracing mazes around pillars of red rock. Or, at least, that’s what it looks like for a quarter mile in either direction. In the distance, the red rock gives way to a purple alien landscape, with nothing but a strange force field separating the two. The town’s empty, silent except for your footsteps kicking up dust and a few alien creatures scampering around. You walk up to the first of the houses. Locked, of course, but there’s a weird projector-looking device sitting nearby. You turn it on and—in classic Cyan form—a holographic woman appears, hinting at some sort of conflict. From how long ago? Who knows. These projectors (there were a few in what I played) were the only bits of story in the build I played, and shed very little light on the greater conflict. I’m pretty much going to ignore them, except to let you know that they were shot with real actors and real cameras, a la Myst. I expect longtime fans will love this (I did) while newcomers will be more mixed in their reactions, as there’s still a level of artifice to the look. There’s still the question of the locked door though. Locked doors, actually. This is a Cyan game, after all, and you’re going to need to work through a bunch of puzzles to figure out what’s going on. What I played of both Hunrath and Mofang felt like classic Cyan—classic Myst—full of levers to pull and buttons to press and cranks to turn and et cetera. Sometimes it’s recognizably realistic, like the minecart I rode around Hunrath or the empty diesel generator sitting in a trainyard. 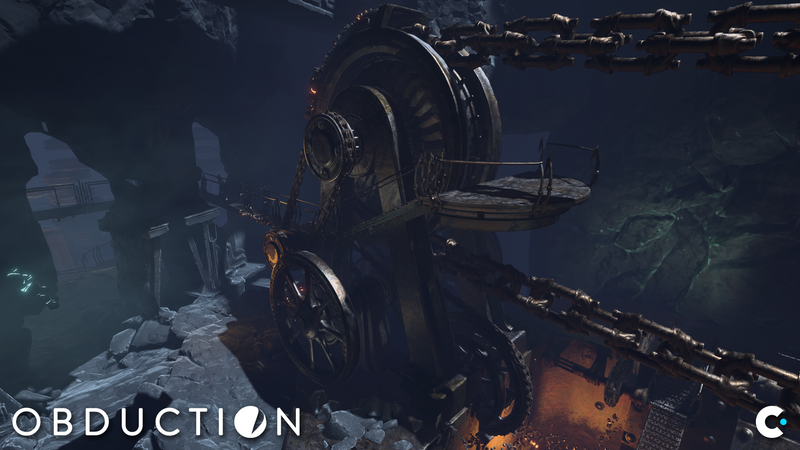 Other times it’s awesomely alien, like the hundred-foot-tall engine at the heart of Mofang (pictured above), massive chains wrapped around the center’s whirring gears. The early hours seemed quite a bit easier than, say, Riven, but it’s hard to know how the game will progress—especially because pretty much everything I played was mechanics-based. Last year Miller told me Obduction switches towards other types of puzzles in the back half, but I’ve yet to get there (and language/symbol puzzles are typically what stump me). The hardest part at the moment—Cyan’s biggest challenge, I think—is letting players know what’s a puzzle and what’s merely scenery. These environments are so large, at one point I actually had to ask, “Have I...missed something?” because I felt like I’d wandered so far without encountering a major puzzle. But hey, that’s what set-dressing is for. Again, I was playing a stripped-down version of the game that was basically just scenery and puzzles. When the game’s full of more objects to stop and look at, it’ll hopefully feel more natural to keep walking. And there’s some merit to such a freeform approach—it’s what made The Vanishing of Ethan Carter feel more like a real world and not just a video game level. And that’s what Cyan does best: Create worlds. 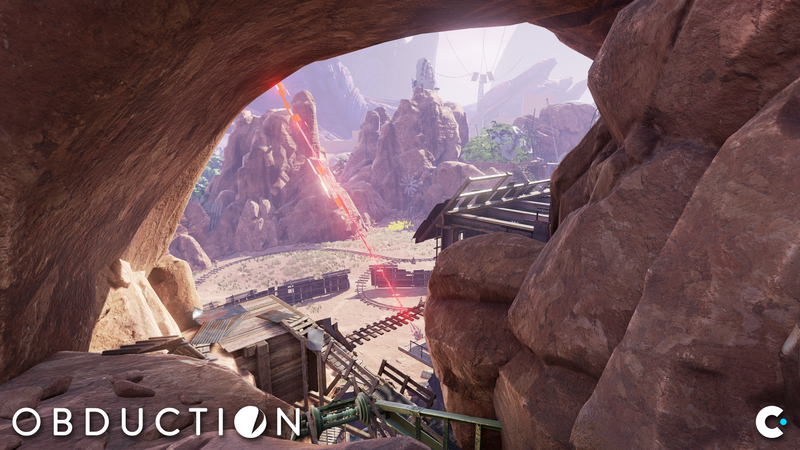 Obduction will feel familiar to any Cyan fan because in many ways the team’s still doing the same thing as ever. You’re a stranger in a sometimes-strange land, straddling a line between the familiar and the alien. Grasping at hints of home. In Myst, it was a warm, well-lit library. 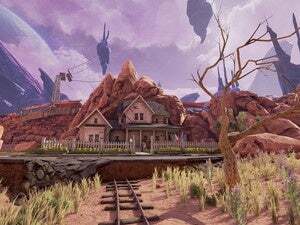 In Obduction, it’s a garage door or a white picket fence or a mailbox set against a brilliant violet sky.